MILWAUKEE — The suspect in the shooting death of Milwaukee Police Officer Matthew Rittner remains in custody, awaiting charges. The District Attorney's Office said charges against 26-year old Jordan Fricke could come as soon as this weekend. Investigators handed over the case to the DA on Thursday night. Prosecutors must sift through investigations by Milwaukee Police, the State Crime Lab and the State Division of Criminal Investigation before formally charging Fricke. 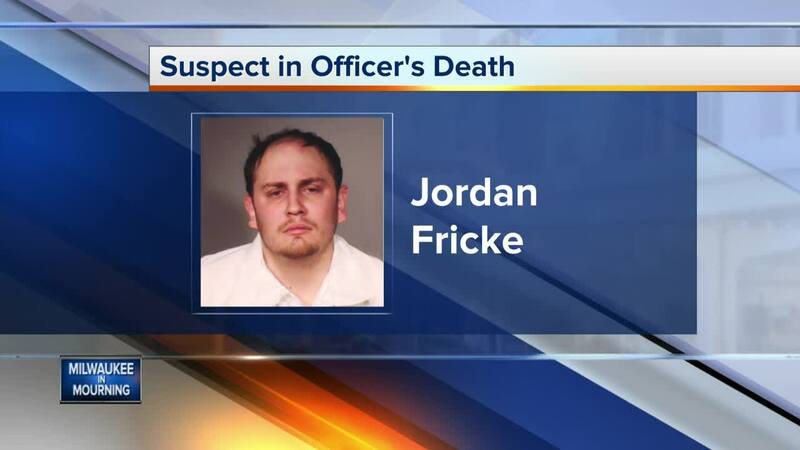 Milwaukee Police announced this week that Fricke had been arrested in connection with Officer Rittner's death. Fricke's name does not show up in the online list of inmates being held at the Milwaukee County Jail. Authorities said he remains in the City of Milwaukee Jail, where he's in the custody of Milwaukee Police. The DA expects Fricke to eventually be transferred to the county jail. He said the soonest anyone could visit Fricke is after he makes an initial court appearance — provided he remains in custody and held on bail afterward. TODAY'S TMJ4 also learned Friday that Fricke himself called police last summer to report that someone shot at him. According to the DA's Office, Fricke told investigators he fired his weapon in self-defense. So they seized it and it was inventoried for safekeeping, according to police documents. A petition filed with the court on Jan. 25 by Fricke requests that the firearm be returned to him. In what looks to be Fricke's own handwriting, he signed the bottom of the form and describes the gun as a Glock 23. Online court records show there was a hearing scheduled at the courthouse, related to the confiscation of the firearm, later this month.